Another day – another power bank. 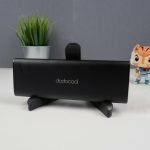 Yup, and another dodocool product. What can we do? 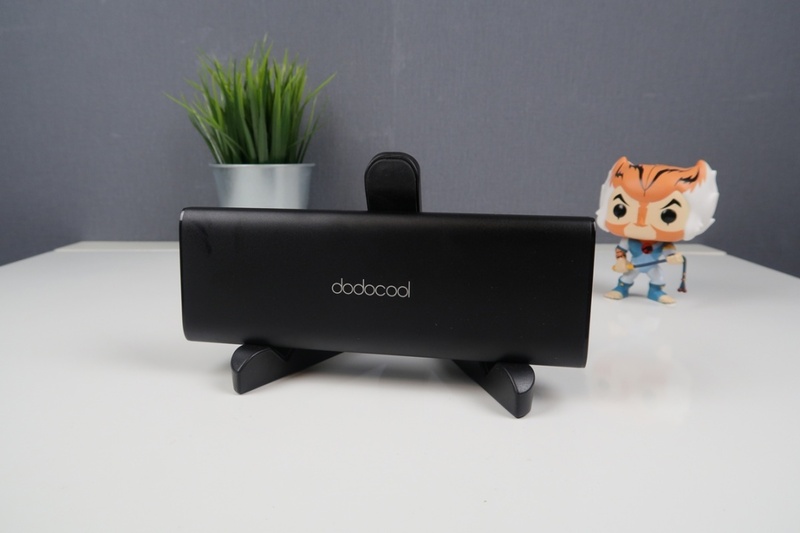 They keep sending us cool products to check out and this time the dodocool 20100 mAh power bank is compelling for a number of reasons. 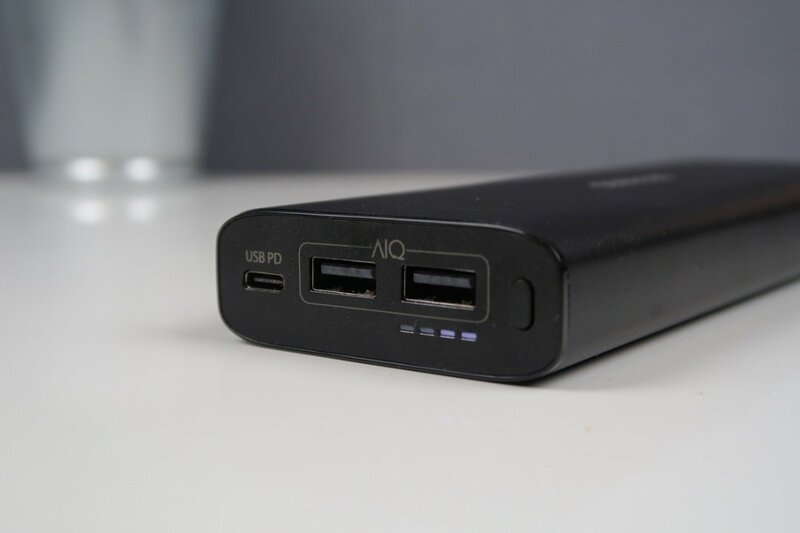 We’re looking at power banks to take with us to events that have large capacities but are portable, as well as the fact it has a Type-C input/output too. Let’s see how it fares and whether it’s worth the £46 it costs. 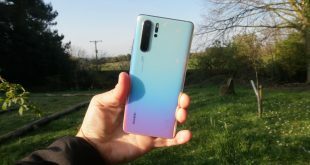 The first thing to note here is that this is a beefy power bank; not just in capacity, but it weighs over 480g which doesn’t sound a lot but if you look at one the largest flagship smartphones available currently, the Galaxy Note 8 which weighs in at sub 200g, then you get some idea of the heft. It can fit in a pocket, but it’s likely to stretch that pocket quite quickly. 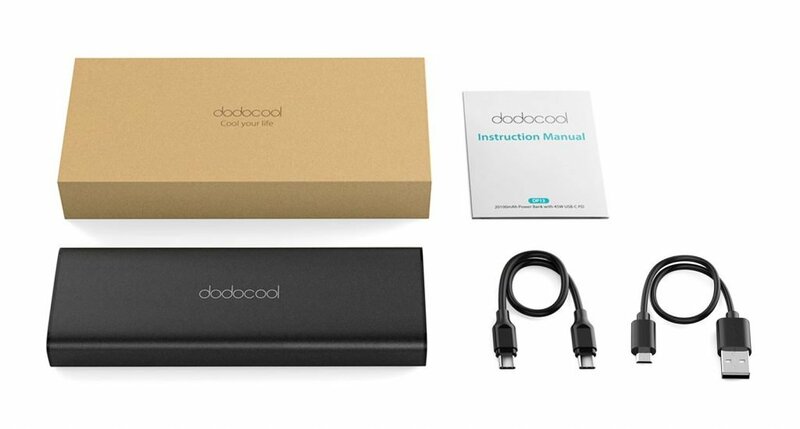 Along with the beastly power bank, the package delivers a user guide, microUSB cable and Type-C USB cable. 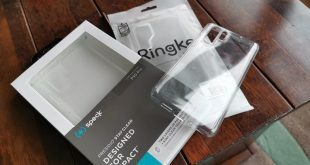 I am still thankful for the rather bland packaging. Let’s try and make 2018 the year of minimal packaging eh? 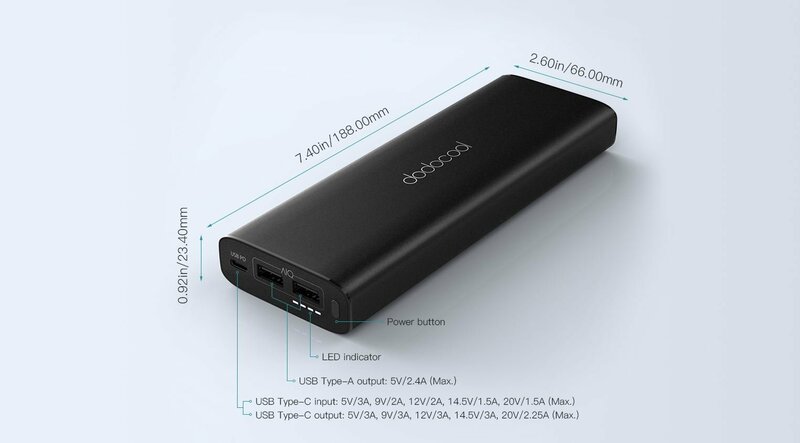 Aside from the dodocool 20100 mAh power bank being a little large, it does have a few compelling features to offset this heft. For starters, it utilises Type-C USB charging which can help recharge this device from scratch in just under 3 hours in our testing if you have a Type-C power delivery enabled wall adapter. Additionally, the Type-C charging port can deliver power to your Type-C enabled laptop or tablet devices up to 45W, and does a fine job to boot! 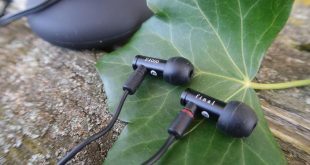 There are also 2 Type-A USB ports which can deliver 2.4A output max and will intelligently detect the optimum power delivery for the connected device. 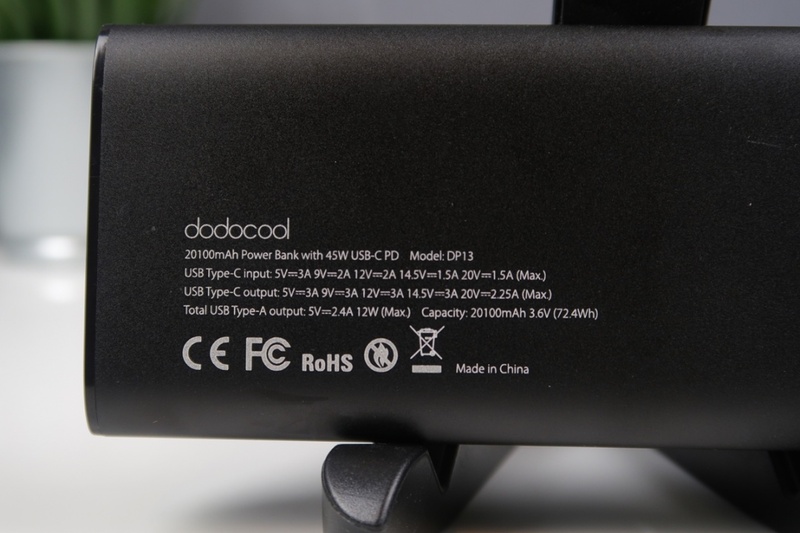 Alongside the Type-C ports is a power button which can be used to illuminate the status LEDs to see how much juice remains in the dodocool 20100 mAh cell. During testing the portability of the device became a little more of an issue. As a daily carry, it’s fine. Put it in your backpack and take it with you wherever you’re going, but if you’re travelling light then putting this in a coat/jeans pocket is less than comfortable. You really need to be commuting or attending an event for this to work. Interesting that fits our requirements, but it might differ for many others. Another interesting aspect of this device is that this does have a call out for a 15-second power off option if it’s not in use. Now most devices of this ilk do that now, but it’s often not called out in literature and can only really be ascertained by trial and error; this is a big deal for me as I like to know what’s going to happen with my device before I buy it. I have had many a power bank with large capacities eat through the battery over a weekend as it’s stuck in less than optimal conditions, but with the power on also thanks to no cut-off. 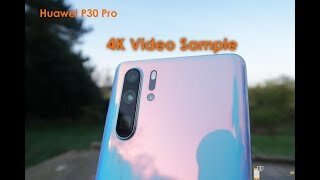 I can certainly see myself using this device. Less so for any laptop or tablet, but to utilse the large capacity to keep my smartphones topped up whilst at events, thanks to the 92% efficiency rating as tested (your mileage might vary from unit to unit). As I’ll be having a backpack with me throughout the events I attend over 2018 I know that I’m not going to have an issue shuffling this around a show floor, however I’m also well aware that if my use case for the dodocool 20100 mAh power bank was a little more standard, I might be put off by the weight of the thing – seriously my biceps have been worked out just by testing this! Something to think of when mulling over buying the unit.